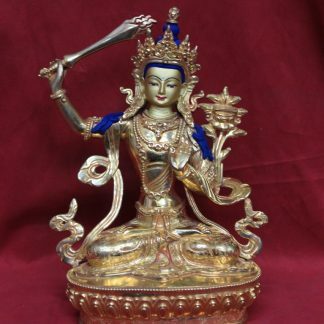 Medicine Buddha Statue full gold figurine holds a medicine plant and rice bowl on his palm and hand. 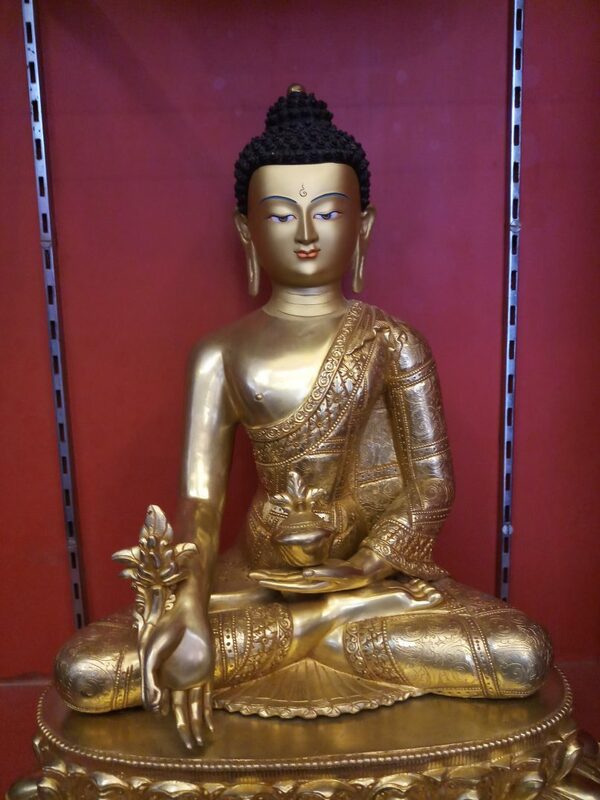 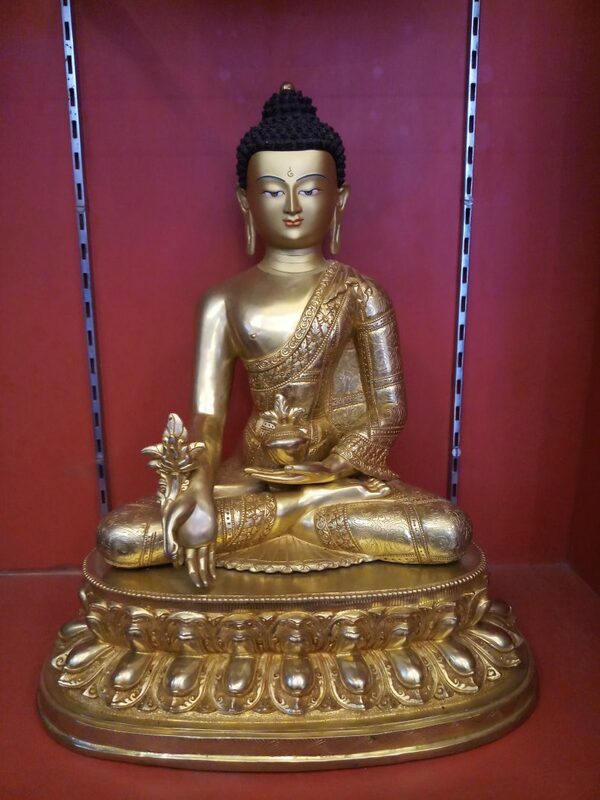 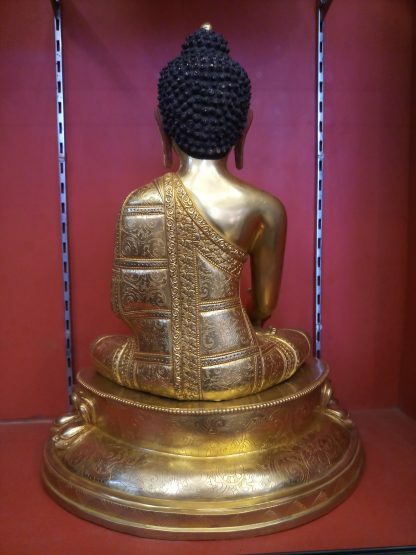 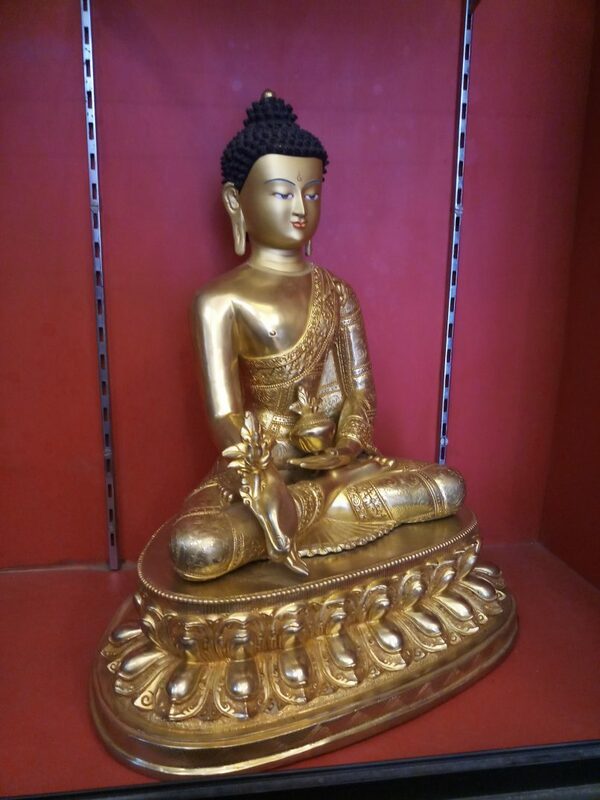 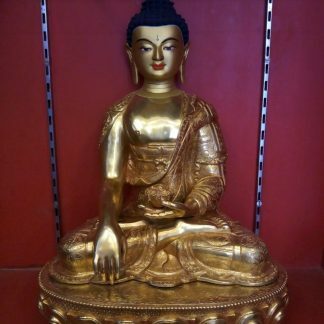 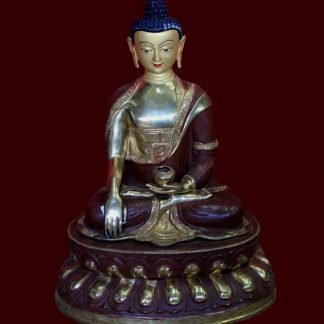 Medicine Buddha statue full gold body. 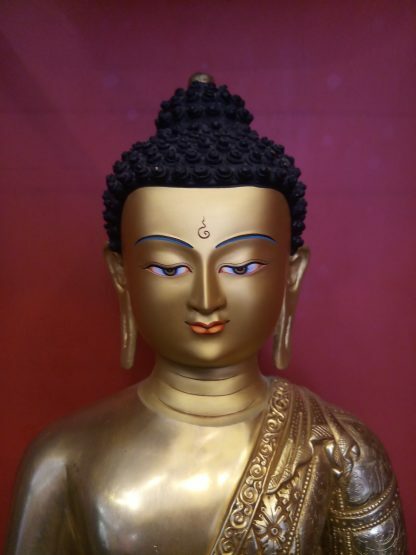 Face is carefully hand painted with 24k gold. 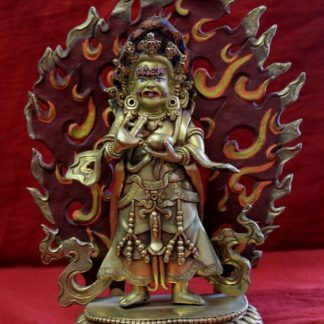 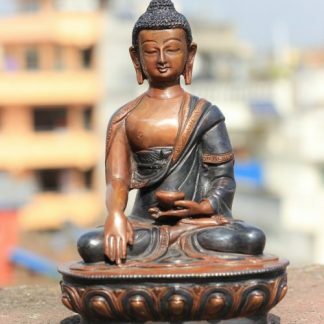 This is the highest quality statue finely hand-carved by Newar artisans in Nepal. Place it on your meditation altar, home decor for living room ,monasteries, Temples, dharma centers and even in places like Yoga Centers and Hotels for decoration. 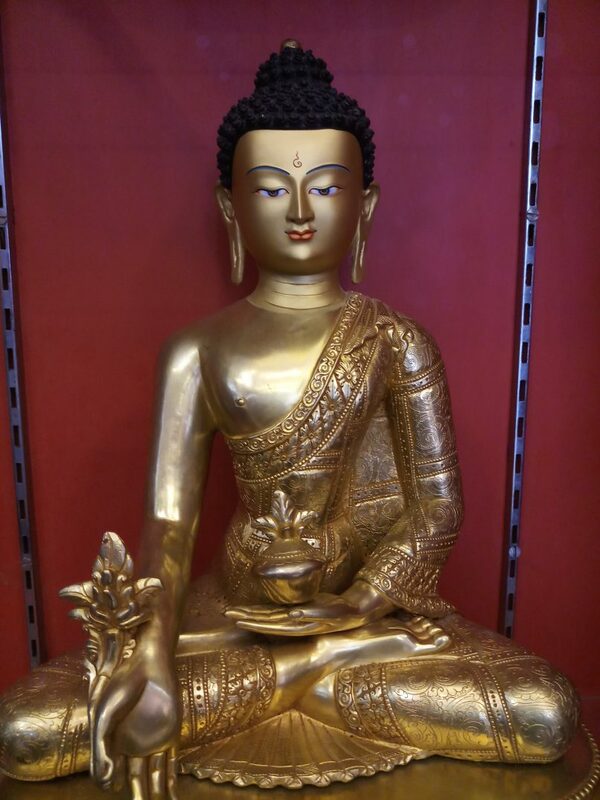 Medicine Buddha Statue full gold figurine holds a medicine plant and rice bowl on his palm. 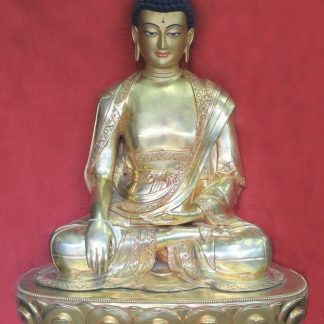 Symbolic Meaning: Medicine Buddha is also known as Healing Buddha. 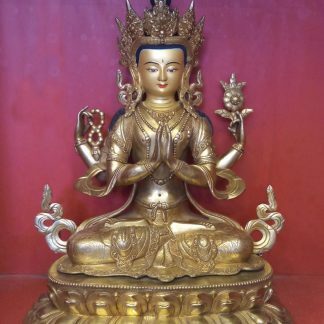 It is also called as Bhaisajya guru in Tibetan tradition. 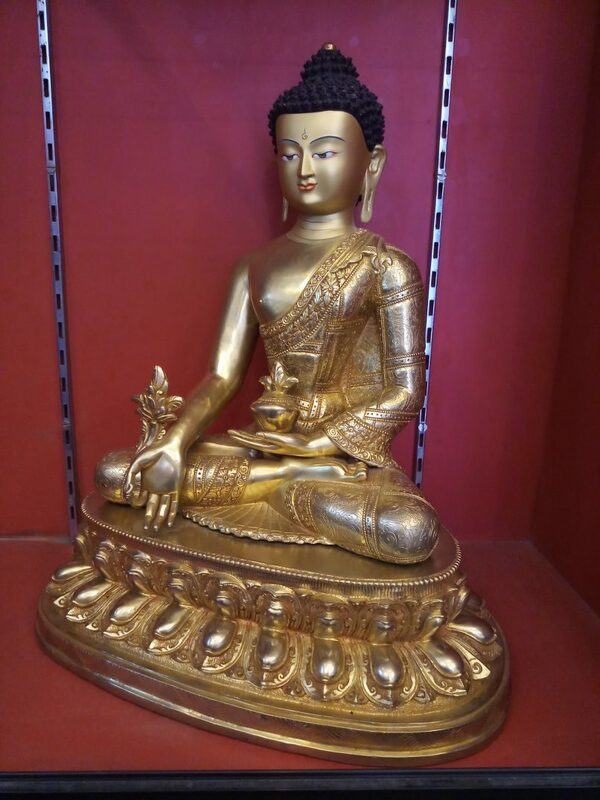 It is an ancient belief that by worshiping this deity you will be spiritually, mentally and physically healed. 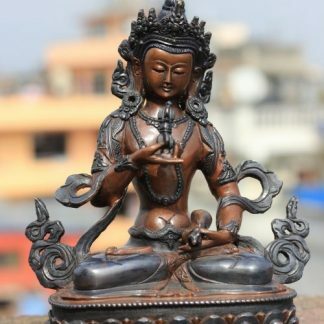 So the rupa has healing power and worshiped for the very reason.